Market Both teams to Score? First Half Goals 0.5 First Half Goals 1.5 Half Time Half With Most Goals Match Odds Over/Under 0.5 Goals Over/Under 1.5 Goals Over/Under 2.5 goals Over/Under 3.5 Goals Over/Under 4.5 Goals Over/Under 5.5 Goals Over/Under 6.5 Goals Penalty Taken? Chelsea and Stoke City meet at Stamford Bridge, in a match for the 21th round of the Premier League. 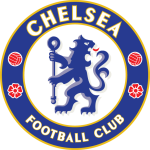 Chelsea got an away win by (0‑4), in the last league head‑to‑head, played in 23‑09‑2017. At this stadium, the head‑to‑head history favours the home team, since they have a record of 4 wins and 1 draw in the last 5 matches. Sure enough, the last time these teams met at this stadium, on 31‑12‑2016, in a match for the Premier League, Chelsea won by (4‑2). The goals of the match were scored by G. Cahill (34' ), Willian (57' and 65' ) and Diego Costa (85' ), for Chelsea, and by B. Martins Indi (46' ) and P. Crouch (64' ), for Stoke City. Although this is a match between 3rd and 13th of the league table, it’s actually a match between the 4th best in home matches and the º best in away matches. The home team is currently in the 3rd position of the league, with 42 points won, after 13 wins, 3 draws and 4 losses. In the penultimate match, they tied in an away match against Everton, by (0‑0). In the last match, they won in a home match against Brighton & Hove Albion, by (2‑0). This is a team that maintains its competitive levels in home and away matches, since they have had similar results in both conditions. For the league, Chelsea won 22 points out of 30 possible points, after 7 wins, 1 draw and 2 losses in the last 10 home matches. In this competition, they have a sequence of 6 wins in the last home matches. In their home league matches the most frequent result at half‑time was the 0‑0 (5 out of 10 matches). Their offense has scored frequently, since they have scored goals in 8 of the last 10 matches for this competition. In their home matches for this competition there is a tendency for few goals, since 7 of the last 10 matches have ended with Under 2,5 goals. In 20 matches for this competition, they have conceded the first goal 6 times and have only turned the score around in 1. In the last 10 home matches for this competition there is 1 period that stands out: they have conceded 3 of their 7 goals between minutes (31'‑45'). Chelsea sees the opportunity to add the seventh consecutive Premier League victory to compensate for the points lost away from home, where it has won only one of the last four matches. In the last round, the team had 67% of ball possession and finished triple the opponent's triple, leaving with a home victory against Brighton. As has become clear in its last three clashes, in which it has not conceded a goal, the team has been highlighted by the strength of its defensive system, which is now the second less leaked of the competition. One of the strengths of the team has been the quality in the exchange of passes, which allows a good ball possession and hinders the work of the opponent. It is likely that the coach will organize the team in 3-5-1-1 for this bout, and should keep Hazard as the reference in the offensive sector. The away team is currently in the 13th position of the league, with 20 points won, after 5 wins, 5 draws and 10 losses. In the penultimate match, they won in a home match against West Bromwich Albion, by (3‑1). In the last match, they tied in an away match against Huddersfield Town, by (1‑1). This is a team that usually makes good use of the home advantage, since they have won points in away matches and 14 points at their stadium, with 13 goals scored and 19 goals conceded at home, against 10 goals scored and 22 conceded in away matches. In the last 10 away league matches Stoke City has a record of 1 win, 3 draws and 6 losses, so they have won 6 points out of 30 possible. In this competition, they haven’t won any of the last 5 away matches. In their away league matches the most frequent result at half‑time was the 1‑0 (4 out of 10 matches). Defensive consistency hasn’t been their best feature, as they have conceded at least one goal in each of the last 10 matches, but their offense has scored consistently, as they have scored goals in 7 of the last 10 matches for this competition. In 20 matches for this competition, they have conceded the first goal 13 times and have only turned the score around in 1. In the last 10 away matches for this competition there is 1 period that stands out: they have scored 4 of their 10 goals between minutes (46'‑60'). 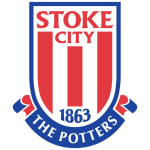 Stoke has not made a good campaign in this edition of the English League, and has already accumulated three consecutive defeats, but now comes a little more relieved, after a home win and an away draw. In its last clash, the team played a balanced game against Huddersfield Town, and despite having missed many passes, managed to reach equality in the second stage, thus adding another point away from home. Although it has conceded only two goals in the last two rounds, the defensive system is still largely responsible for the team's unsatisfactory performance, as it is the most leaked of the competition with an average of 2.05 goals conceded per game. In addition, the team fails in the exchange of passes and in ball possession, questions that are among the four worst. The 4-2-3-1 should be the tactical formation used by coach Hughes, with highlight for Allen in the midfield. This clash should be one of the most unbalanced in this round of the English Championship, as it puts in the field two teams that have been doing completely different campaigns. While Chelsea is still fighting for the vice-leader, Stoke tries to distance itself from the relegation zone. The home team tends to attack by the sides, and bets heavily on kicks from outside the area, set pieces and individual plays, while its defense shows strength in tackles and set pieces. While Stoke has difficulty in maintaining ball possession, however has managed to create a good amount of opportunities, but its defense has failed in many ways, especially in containing counterattacks and intercepting deep balls. Thus, by having a good offensive power and playing at home against a weak defense, the most likely scenario is an easy victory for Chelsea, being a good option to bet in a game with more goals than usual.